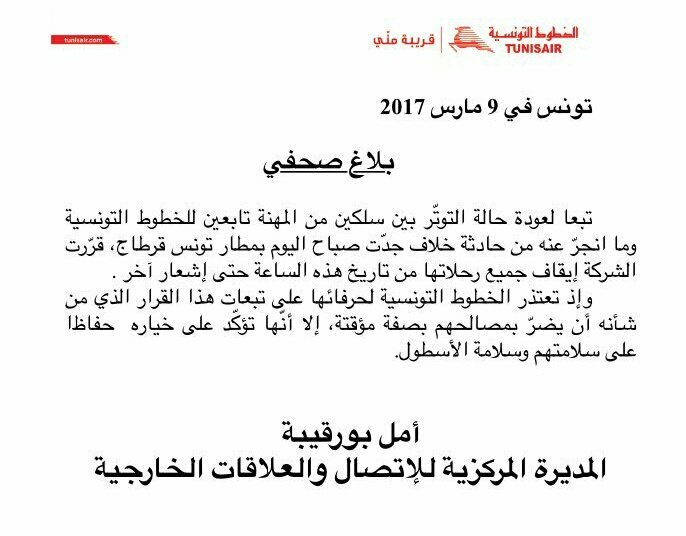 This morning Tunisair announced to suspend all operations and flights until further notice. “In order to preserve the safety of the fleet”, Tunisair had to take this drastic measure. The main reason for the suspension is due to “escalating social tensions” between pilots and technicians. According to radio Mosaïque FM a physical clash between cockpit and technicians broke out this morning on a flight scheduled to leave for Paris CDG (TU716).